Summary: On the afternoon of September 21th, Yantai High Tech Development Zone Fu Shan Yuan Administrative Committee Shanghai Investment Liaison Office Deputy Director Chi Tongguang, key project Director Bi Chonghui and other leaders came to Shandong China Transport Group to investigate and research on the Shandong China Transport Logistics Equipment Group Co., Ltd, settled in Yantai high-tech zones Fu Shan Yuan project, and strengthen cooperation with China Transport Group in the field of cross-border e-commerce and other related issues, China Coal Group Chairman and General Manager Qu Qing, Executive Deputy General Manager Han Yong, Li Zhenbo, Deputy General Manager Fan Peigong, Guan Chenghui, China Transport Logistics Equipment Yantai Cross-border E-commerce Company Office Director Wang Kun accompanied reception the visitors. 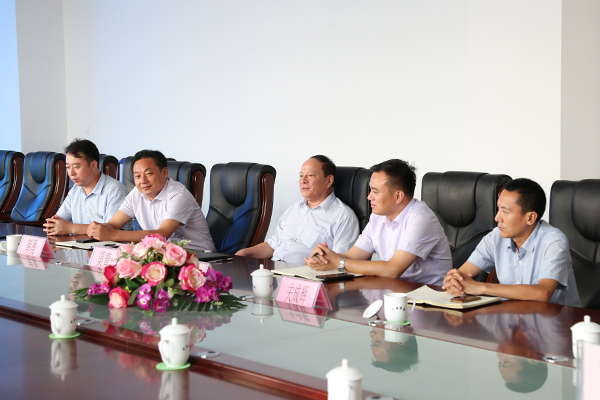 On the afternoon of September 21th, Yantai High Tech Development Zone Fu Shan Yuan Administrative Committee Shanghai Investment Liaison Office Deputy Director Chi Tongguang, key project Director Bi Chonghui and other leaders came to Shandong China Transport Group to investigate and research on the Shandong China Transport Logistics Equipment Group Co., Ltd, settled in Yantai high-tech zones Fu Shan Yuan project, and strengthen cooperation with China Transport Group in the field of cross-border e-commerce and other related issues, China Coal Group Chairman and General Manager Qu Qing, Executive Deputy General Manager Han Yong, Li Zhenbo, Deputy General Manager Fan Peigong, Guan Chenghui, China Transport Logistics Equipment Yantai Cross-border E-commerce Company Office Director Wang Kun accompanied reception the visitors. 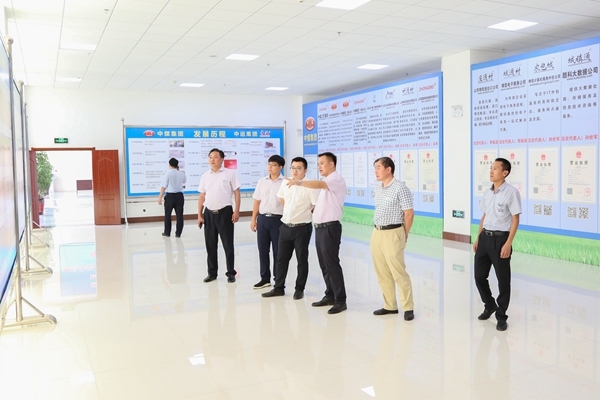 The leaders visited China Transport Group Office Building, Group Cultural Exhibition Hall, the Intelligent Product Exhibition Hall and the Group E-Commerce Company, Cross-Border E-Commerce Company, Network Information Company, Software Technology Company, Weixin Agricultural Technology Company, Kate Intelligent Robot Company, Group Executive Deputy General Manager Li Zhenbo detailed description to the leadership on China Transportl Group's advanced experience and outstanding achievements in e-commerce, cross-border e-commerce, e-commerce personnel training and other aspects, and the report praised by the visiting leaders. At the symposium, many visiting leaders gave a high degree of praise to our Group's successful from the traditional manufacturing enterprise transformative into modernized information enterprise, and gave high degree recognition to our Group's development in all directions, multi-industry, multi-field applications that relied on "Internet +", big data, cloud computing and other edge information technology in enterprise. Director Chi pointed out that China Transport Group as a traditional mining industry enterprise, made such a remarkable achievement in the field of cross-border e-commerce and national e-commerce, at the province's leading position in IOII, production and research technology and other fields, set a benchmark for the traditional enterprises rapid transformation to the information industry, is the example of enterprise learning in province, today, through the visit, we saw the Group's strong strength and advanced e-commerce management model, we hope that through the Shandong China Transport Logistics Equipment Group settled in Yantai City High-tech Zone Fu Shan Yuan project and cooperation with China Transport Group in cross-border e-commerce in the field of the depth of cooperation, we will provide the best quality service to create the most favorable development environment for the development of enterprise, and better achieve the development of both win-win. In recent years, China Transport Group closely around the country's actively promote the "Internet +" development strategy, according to local conditions to expand e-commerce development model, increase business ethics training, innovative business concept, to create E-commerce, cross-border e-commerce integrated service platform and other forms, the success of the traditional modern e-commerce sales model, which greatly stimulated the province's e-commerce takeoff. As e-commerce integrated innovation demonstration enterprises by Ministry of Industry and Information Technology, 2016 innovation and practice awards of China integration of IOII, Shandong Province pilot enterprises of IOII management system standards, Shandong Province outstanding contribution enterprise, Shandong E-commerce business model, Shandong E-commerce outstanding enterprise and Jining IOII key demonstration enterprise, highly praised by the municipal, provincial and the national leaders many times. 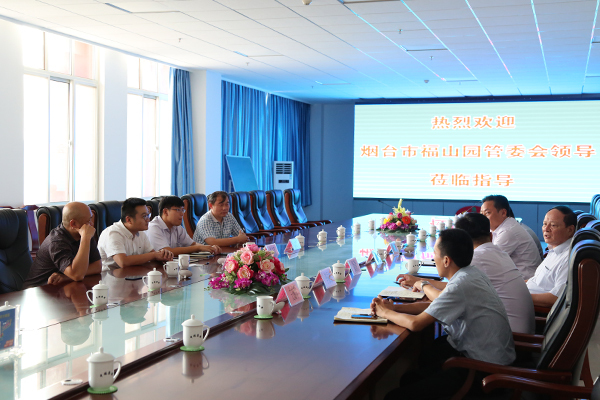 Chairman Qu said, thanks to the leadership gave high degree recognition to the development achievement of China Transport Group. Since its inception, China Transport Group has developed a strategy bases on Global View of Worldwide, up to now Group have three subsidiaries, 36 professional companies, three Hong Kong companies, one UK Cayman Company, one US company, E-commerce platform -1kuang.net, which products be exported to 151 countries and regions in the world, and build a diversified development of the market structure, as the country trade leader in the development of cross-border e-commerce. In the future, the China Transport Group people will continue with the spirit of scientific and technological innovation, enhance R & D strength, toward the technology, information, intelligent direction of the rapid forward, and strive to create more success in high-tech technology and information. Make more positive contributions to the rapid development of the national information industry!